It turns out, completely overhauling its main campus wasn’t quite enough for MetroHealth, which now is forming a nonprofit organization dedicated to developing and revitalizing its surrounding neighborhood. 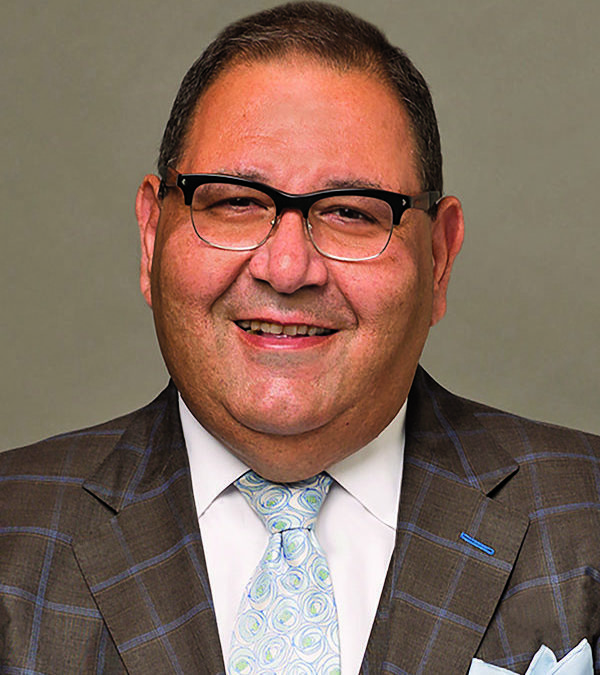 “We’re fully committed to the revitalization of West 25th Street and plan on designing the new campus with the community in mind,” said Dr. Akram Boutros, MetroHealth’s president and CEO, during an interview last week. The health system’s board of trustees in late July approved the creation of CCH Development Corp., a nonprofit devoted to revitalizing its West 25th Street neighborhood and developing nearby abandoned real estate in collaboration with various other partners. The articles of incorporation were submitted in the first week of August. Next up is electing directors, and once a board is seated, look for staffing and leadership. The work will happen alongside MetroHealth’s campus transformation project, a complete overhaul of its campus, including replacing its iconic, but aging, patient towers. “Since we are not a private corporation that can take its dollars and send it back to shareholders, we reinvest in the community,” Boutros said. In the weeks since the development nonprofit proposal became public, MetroHealth has had conversations with some of the largest nonprofits and funding organizations in the area who want to support development of the Near West Side. Boutros said he has been approached with development ideas for campus-like housing for medical and surgical residents, hotels, coffee shops, specialty food stores, a high-tech business incubator and others. The nonprofit will begin by looking at the work that has been done over the years and then begin contacting, meeting and coordinating with banks and other nonprofits interested in investing in the area. They’ll need mortgages, loans and various financial instruments to fund the work, because the dollars will not come from the MetroHealth System, Boutros said. While other hospitals do work to support their neighborhood, creating a separate nonprofit for the work isn’t common. Spokespeople for Cleveland Clinic, University Hospitals, Summa Health System and Akron Children’s all confirmed that the systems don’t have such a model. But the model isn’t unheard of. Nearly a decade ago in Columbus, Nationwide Children’s Hospital partnered with a local community development corporation to form a nonprofit focused on affordable housing, said Angela Mingo, director of Community Relations at Nationwide Children’s Hospital. Since beginning in 2008, the nonprofit has developed, repaired or rented 300 properties. In studying the best way to go about revitalizing its neighborhood, MetroHealth looked both at Nationwide Children’s and at Cleveland State University, which also took up a similar model several years ago in developing housing for students, Boutros said. The nonprofit proved to be the best model for MetroHealth because it brings together the largest anchor institution (the health system) and partners, such as the city, philanthropic agencies and CDCs, Boutros said. The nonprofit also could participate in tax credits, such as historic or new market tax credits, that the system wouldn’t have access to. Mingo said she believes this type of work is just starting to trend nationwide. For one, anchor institutions are inherently place-based, giving them a clear opportunity to improve the communities in which they’re rooted. And for hospitals in particular, there’s a prevention aspect. With so much of a patient’s health impacted by what happens outside the walls of a hospital, it only makes sense to try to change some of that for the better. The social determinants of health break down to about 20% genetics, 20% health care, 20% environmental and 40% behavior, Boutros said. He compares ignoring the environment in which patients and staff live to ignoring MetroHealth’s day-to-day business of providing health care services. For other anchor institutions looking to take on this kind of work, Mingo stressed the importance of collaboration, strong partners and community support and engagement. Although MetroHealth is not expected to fund the ongoing operations of the nonprofit, Boutros said no one but MetroHealth could fulfill the leadership role in this revitalization effort. This was taken wholly from this source Crain’s article.